Kickstarter has it’s fair share of great titles, whether these games have been funded or not there has been some noteworthy games on the crowdfunding platform. Here are some of the key titles that have caught our eye over the past month or so. Pathfinder, the legendary off shoot of Dungeons and Dragons is finally getting its own isometric RPG and it has sent the Kickstarter crowd mad with excitement. 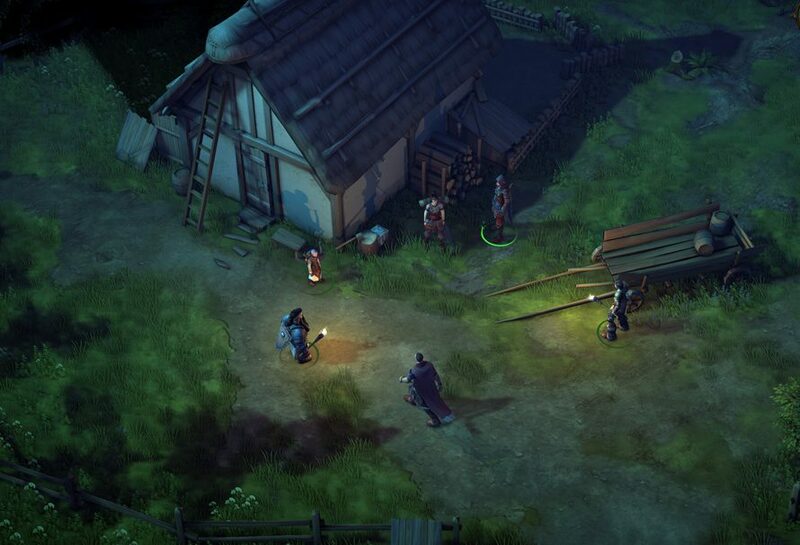 Due to end on the 12th July Pathfinder: Kingmaker currently stands at 124% funded with over 12,000 people backing it. “Whether you’re new to the Pathfinder® universe or you’re a seasoned veteran, Pathfinder: Kingmaker® is the CRPG you’ve been waiting for. Here at Owlcat Games, we love and are inspired by classic isometric computer RPGs like Baldur’s Gate, Fallout and Arcanum. Our dream is to rekindle the thrill of playing those games for the first time. Building your hero, exploring the unknown, getting to know your companions, experiencing the adrenaline rush of your first battle (and your last), delving into mysterious dungeons, and—most importantly—seeing your protagonist and your world change through your actions. Two of its four Stretch Goals have have been achieved with an extra story chapter and inclusion of character archetype still to go. Still with 27 days to go, Fight Knight has already smashed through it’s target. This is a first person game with a difference. as a knight it is up to you to fight your way through a psychedelically coloured environment punching anything and everything that moves. The game is already 253% funded by over 1,000 backers with no sign of slowing down any time soon. Unlike most campaigns, Fight Knight is avoiding stretch goals as the developers want to focus on creating the product they have in mind. Ancient Cities is described as a survival and strategy city builder which is based in ancient times. That sentence alone just shows you how ambitious Ancient Cities is and it looks amazing. The campaign has since ended and and has raised €125,365 from 2,963 backers, smashing its goal of €100,000. Here is what you can expect from Ancient Cities according to its Kickstarter page. “Starting in the Neolithic era, you will have to guide your people through generations, discovering and improving technologies, managing resources and population, facing threats from raiders and Mother Nature herself. And, ultimately, building the most fantastic city of antiquity through the ages in a fully simulated world and ecosystem. Four of the five stretch goals were unlocked during the course of the campaign, meaning that the game will now get an ice age expansion, fluid dynamics, a Neolithic age and DRM free platform release. This dark non linear 2D platformer is sure to catch the attention of Metroidvania game fans and gamers in general. The art is dark and the theme of the Blasphemous makes Dark Souls look like a bursary rhyme. The Kickstarter campaign was looking for $50,000 worth of funding and it got $333,246 from 9,869 backers. “Blasphemous is an action-platformer that combines the fast-paced, skilled combat of a hack-n-slash game with a deep and evocative narrative core, delivered through exploration of a huge universe comprised of non-linear levels. 17 of 18 stretch goals were unlocked for Blasphemous meaning that the game will benefit from extra game modes, graphics upgrades online features and new bosses. From the creators of PaRappa The Rapper and Gitaroo man comes a game that could have made a name for itself. Sadly though this rhythm game didn’t get the funding it needed and as a result was unable to go into production. Project Rap Rabbit only managed to get £161,557 of its £855,000 goal, and that was from 2,919 backers. “For the first time ever, two of the genre’s biggest icons collaborate on an innovative new musical adventure coming to PlayStation 4 and PC. There was only 2 stretch goals one at $1,100,000 to add six levels and the other at $1,500,000 for a Nintendo switch version of the game. 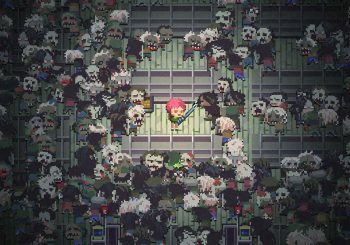 So those are the Kickstarter Campaigns that have caught out eye over the past month or so. Are there any that we haven’t mentioned? Let us know in the comments section at the bottom of this page.